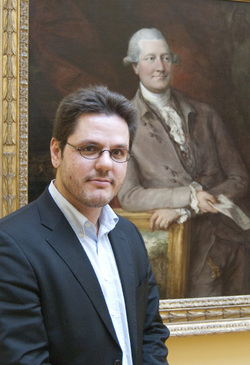 Christian Huemer studied art history at the University of Vienna, the Sorbonne in Paris, and the Graduate Center, City University of New York. His dissertation Paris-Vienna: Modern Art Markets and the Transmission of Culture (1873-1937) earned him fellowships at the Internationales Forschungszentrum Kulturwissenschaften in Vienna and the École des Hautes Études en Sciences Sociales in Paris. Although trained as an art historian, he is interested in exploring methodological models derived from the social and natural sciences. The focus of his research, lectures, and publications is: history of art markets, Central European modernism, and more recently digital humanities. Since 2008 Huemer has been heading the Project for the Study of Collecting and Provenance at the Getty Research Institute in Los Angeles. At the heart of the department’s operations are the Getty Provenance Index® databases, which contain 1.1 million records extracted from primary source material such as archival inventories, auction catalogs, and dealer stock books, covering roughly the late 16th to the early 20th century. In collaboration with Maximilian Schich, Lev Manovich, and Piotr Adamczyk he is currently exploring how larger data sets from the Provenance Index can be used to visualize relationships, patterns, and trends. For the 2012 CAA conference in Los Angeles Huemer and Manovich organized a panel on Information Visualization as a Research Method in Art History. Presentation: "Patterns of Collecting: InfoViz for Art History"